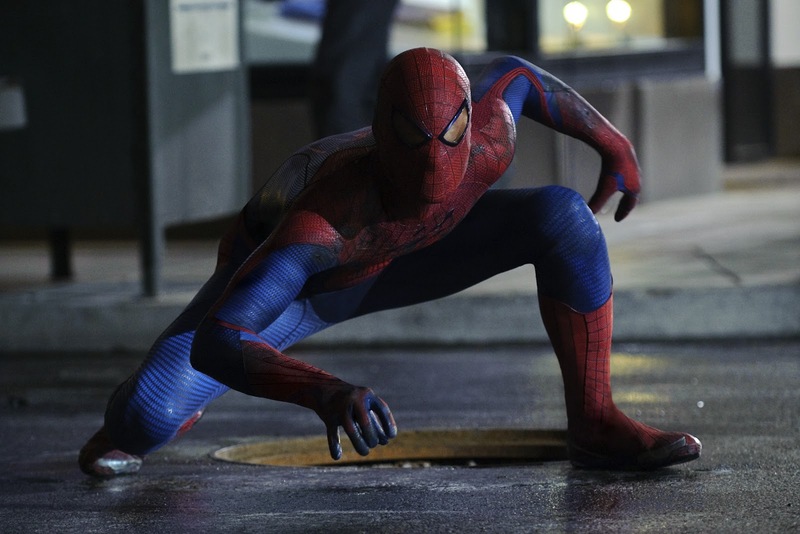 The Amazing Spider-Man (ASM) finds itself swinging between blockbusters The Avengers and the upcoming The Dark Knight Rises. An unenviable place to be, to be sure, but thankfully everybody's friendly neighbourhood Spider-Man delivers on almost every front. Much like Christopher Nolan's entry into the Batman universe, director Marc Webb (500 Days of Summer) has delivered a reboot that is marginally darker than it's predecessor without stooping to jazz-flute dance numbers and black hair dye. Instead, as with 500 Days, ASM a story that delivers legitimate emotion and character growth while still embracing, and excelling, in its position as a summer blockbuster movie of the comic book variety. Much like a joke about a recently deceased celebrity, The Amazing Spider-Man is bound to leave you asking yourself "too soon?" and in one way, it is. It feels far too soon to be subjected to Peter Parker's origin story all over again, albeit a slightly different one, and one with a great deal more emotion thanks to strong performances by Andrew Garfield as Peter Parker and Martin Sheen as Uncle Ben. This is my only quarrel with what is a brilliant franchise reboot that delivers a Peter Parker and a Spider-Man that is far more recognisable than previous incarnations. Andrew Garfield delivers a raw and emotive performance as the young Parker. While providing a fantastic emotional performance, he is also a fantastic choice in terms of physical appearance, his wiry frame is is as closely matched to the comic book as one could expect. The action sequences are incredibly dynamic and refreshingly scrappy, almost to the point of acknowledging that Peter Parker was bitten by a radioactive spider, not a radioactive Shaolin monk. Spidey takes a licking and keeps on kicking. A battle-worn Parker, and his costume by the end of the film, helped to build the films crescendo where, at times, it truly felt as though his luck truly could run out. The use of CGI is extensive although at no time was it jarring. The Lizard, our villain in this story, is entirely CGI while his Jeckyllian counterpart, Dr Curt Connors (Rhys Ifans), is for the most part flesh and blood. Being labelled mid-story as a mad scientist seemed to give Ifans a free pass to turn on the crazy. Comic fans may be somewhat confused by The Lizard's appearance which looks much more like DC's Killer Croc or a Koopaling from the Super Mario Bros film. 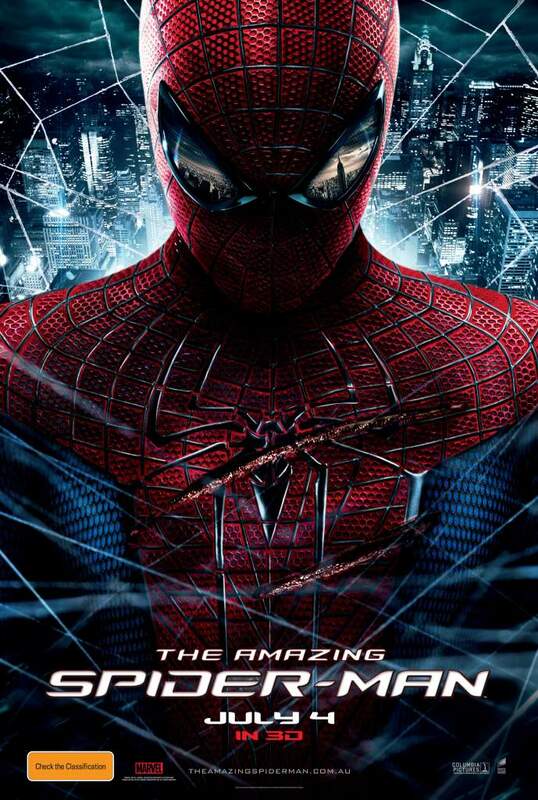 The Amazing Spider-Man is the very first film that I would recommend be watched in 3D. Spidey is the perfect character for the 3D treatment, following him up walls, down alleys and through New York is exhilarating. Overall, ASM manages to successfully reboot a franchise before its time. A director with a keen eye for natural angst, a cast of truly talented performers and actions sequences straight from a comic pages converge into a film that made this web-head smile from ear to ear. The Amazing Spider-Man hits Australian screens from the 4th of July 2012.
i think they handled the origin story pretty well at no time did it feel like a checklist to please the fans. Maybe we are getting close to a time in comic book films that we won't need to keep telling the origin story to reboot franchises, instead we can just handle the characters like James bond, whilst i realise casino royale had bond's origin, in general we can just accept that he is an agent on a secret mission. This would free up the story tellers to jump straight into the action. As someone with no real background knowledge of Spiderman I really enjoyed this reinvention, if you will. I find Garfield far more interesting as an actor than Tobey Maguire, and I think I have a girl crush on Emma Stone. I was glad to see a little more life breathed into the female characters in this version, as well as the investment given to the development of Sheen's Uncle Ben. I thought Ifans was a bit underutilised, but my lovely husband explained that's cos there are things about him we're not supposed to know yet...so I guess patience is the key there. I still hate 3D - it's not for those of us who wear glasses and suffer occasional vertigo - and found it generally unnecessary as the characters were being developed, but a bit of fun for maybe the last 20 minutes of action. I think it fits well in between the Avengers - fun, humourous but basically a romp, and what I expect the new Batman to be - dramatic, hard and dark. Right, this is your blog, not mine so signing off. As far as 3D is concerned, I figure that it is here to stay. A great deal of money has been invested so whether we like it or not, it will continue to feature. That said, one of our competition winners had to run home to put his contacts in! Lucky for him, he lives on Kent St.
Garfield was a fantastic choice for so many reasons. He is very similar, physically, to the Spidey that I know but also showed a great emotional range. Stone is an it girl who doesn't seem to have really flexed her chops yet. That said, I love what she does and I'm looking forward to seeing her grow even further. As a life long web head (I have photos of myself at the age of 4 dressed up as Spidey) I am so incredibly happy to have a Spider-Man film that pleased me as a film geek and a comic geek.